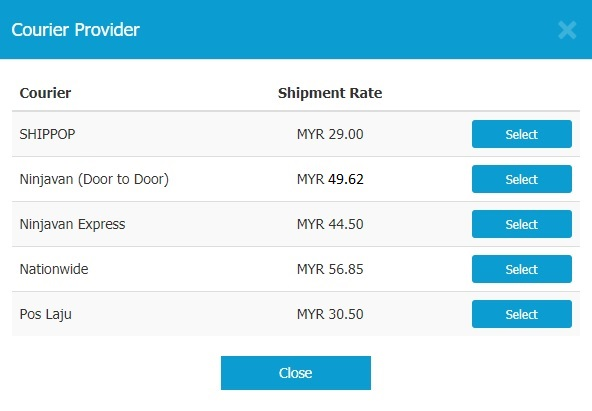 Shippop is an ecommerce shipping consolidator that allows you to check the rates and book delivery online with the courier companies we engaged with. With your preferred choice of courier service, your parcel will be picked up. Airway bill or Consignment Note will be generated for every booking made. All you need to made sure is the airway bill and consignment are securely pasted on your parcel ready for pick up. Pick up schedule may vary according to different courier services. 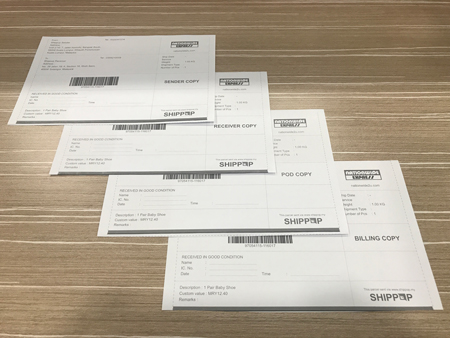 At Shippop we engaged with a variety of courier services, they are:Aramex, Gdex, City-Link, Nationwide, Zepto Express, PosLaju, DHL eCommerce and Ta-Q-Bin. 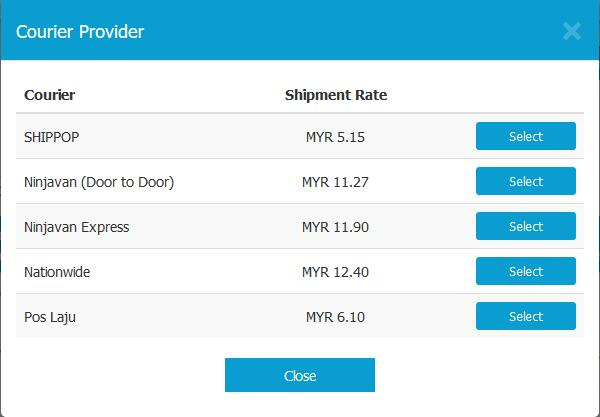 Stay tuned for more courier service choices! 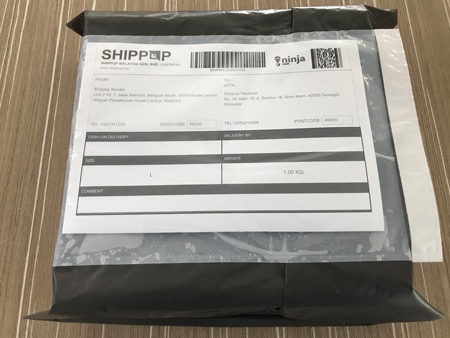 How do I book and pay for a shipment? 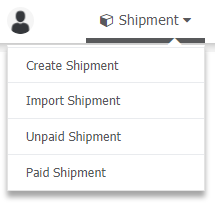 Here are the simple guide to get your shipment rolling! 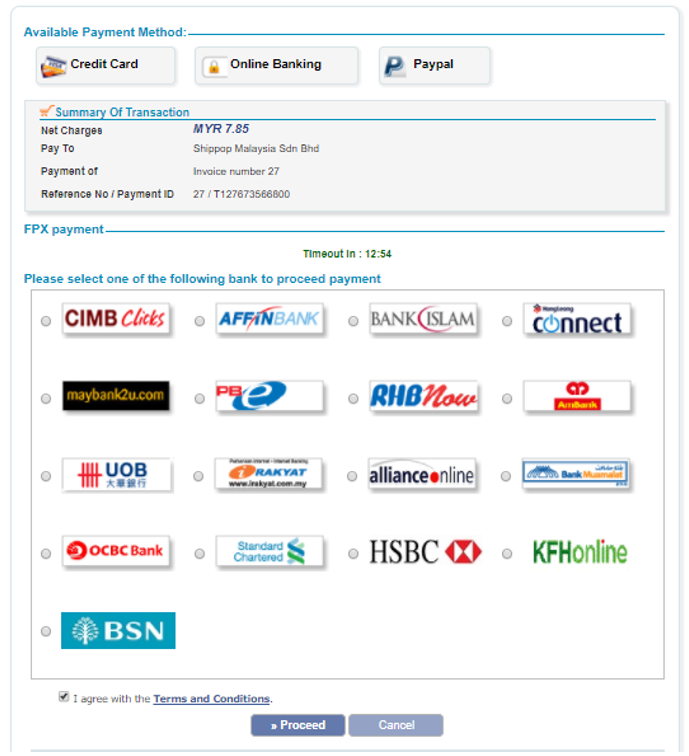 Step 6: Kindly adhere to Terms of Service shown, click “Confirm Payment” to proceed. *Discount Code? * Insert your discount code here should you have any. Step 7: “Print Label” and attach it onto your parcel and it’s ready for pick up! Step 6: “Print Label” and attach it onto your parcel and it’s ready for pick up! How do I contact Shippop? For general enquiries you may refer to our FAQ, or you may drop us a message via Live Chat. Live Chat is available during office hours from 9am – 6pm. 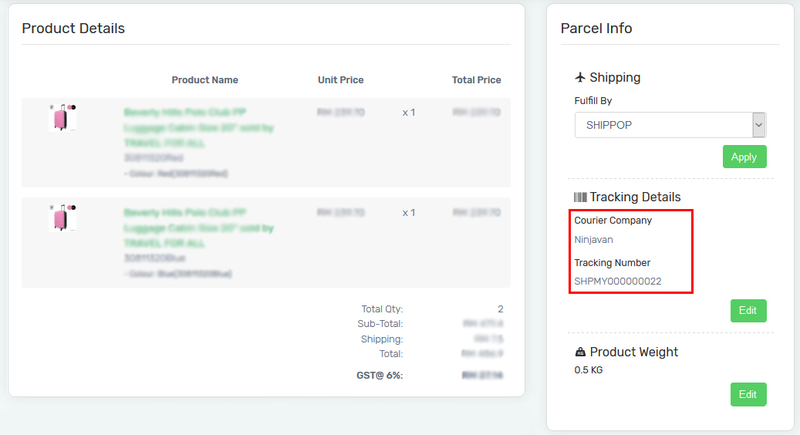 Do I have to provide invoices/receipts for all my shipments? 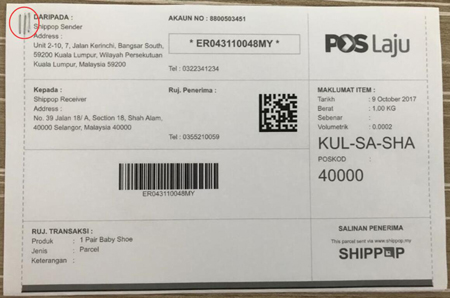 If your parcel is sent within Peninsular Malaysia, invoice is not required. 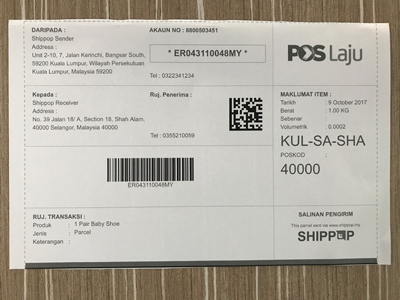 If your parcel is sent from or to Sabah & Sarawak, it is compulsory to print and attach the invoice with your parcel. Do you have Local and International delivery and collection? Yes, we have both Local and International Delivery Services. In regards to collection, please send us an email : cs@shippop.my and let us know which country you would like to collect from. We can advise accordingly. When are your pick up times? This depends on the courier service that is selected. Our system will notify you once you have selected that service. The general pick up time window is within 12 - 6pm. Can I arrange for a specific collection time? Unfortunately, we are unable to provide an exact collection time at the moment. 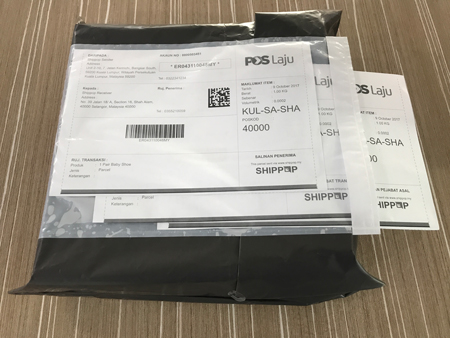 For delivery in major cities within Peninsular Malaysia, it usually takes 1 working day (NEXT day) to complete delivery. 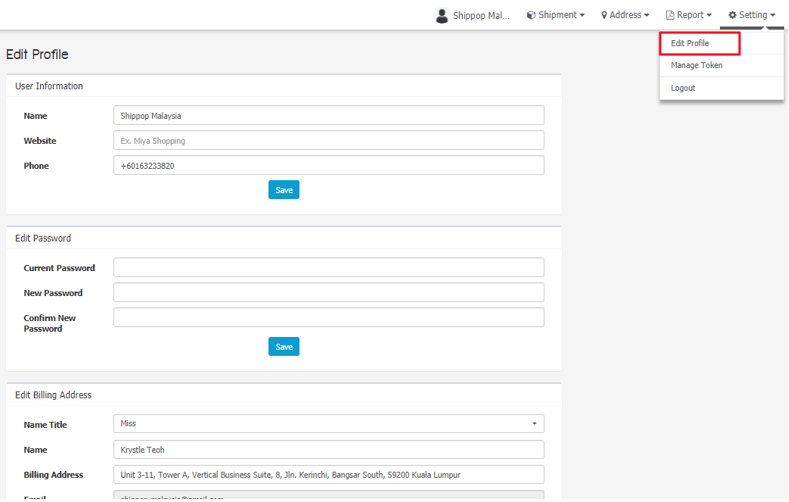 For delivery to/from East Malaysia, it usually takes 2-3 days to complete delivery. 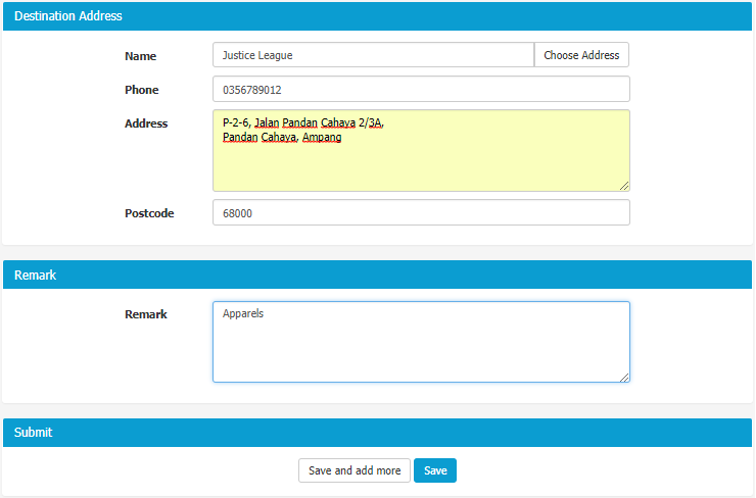 If the recipient address is outside of the regular delivery area (ODA), it will take about 3-5 days. If I use Same Day Delivery service, how long does it take for my parcels to be delivered? It will take between 45 minutes to 12 hours for delivery (This service is only for Zepto Express). 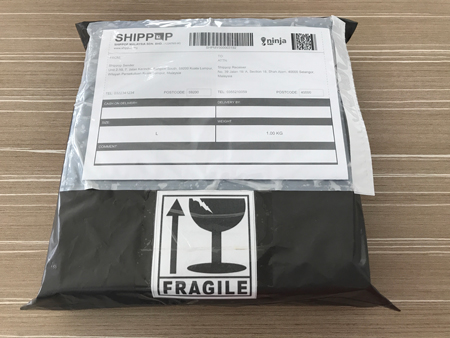 What should I do if my parcels are not collected within the quoted time frame? - Please report it to Shippop within 48 hours (max). Shippop will try its best to resolve it with you by rearranging for another pickup at your convenience. 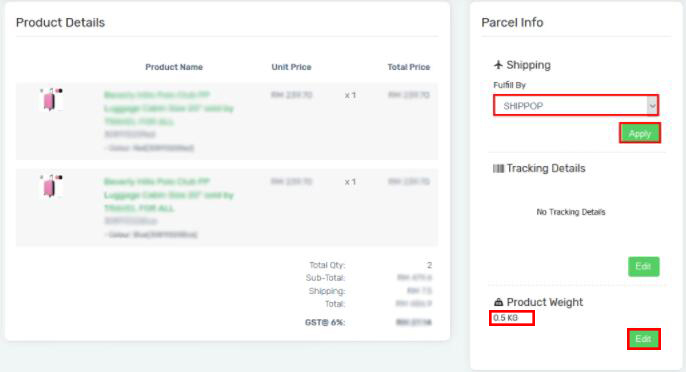 - In the event that Shippop was not informed of a failed collection within the 48 hours window, the order/booking is still valid for another 7 days from the date of order/booking, During this time, you(the merchant) will have to drop it off at the nearest courier point. If there is no drop off made within this time frame, the order will be considered cancelled on the 8th day and there will be no refunds to the user. 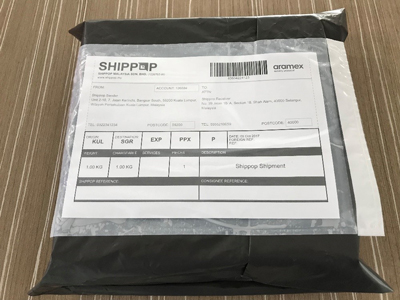 What happens if my parcel has not been delivered after the time frame given? 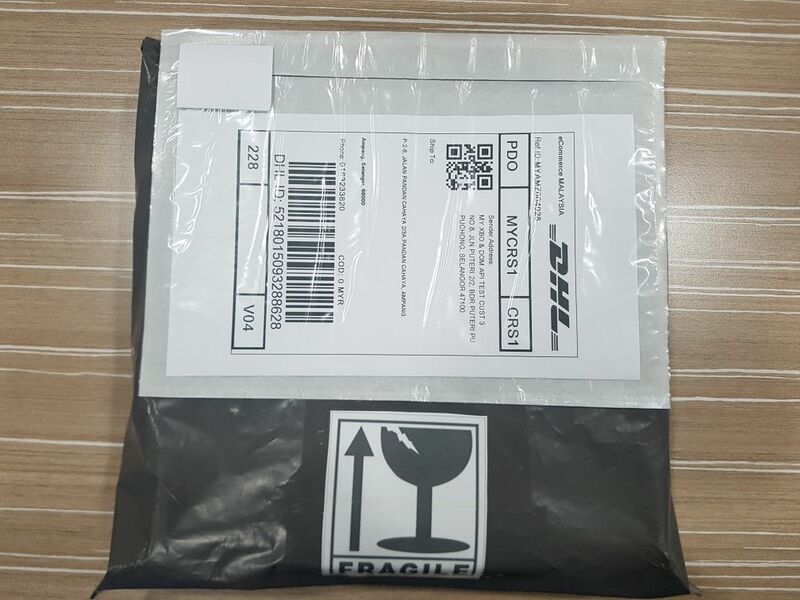 You may contact us via Live Chat and we will follow up closely with the courier service. Can my order/booking be cancelled? Please contact us via Live Chat or Email to cancel your order/booking. Unfortunately, Shippop is unable to refund cancelled booking charges. Can my order/booking be edited? 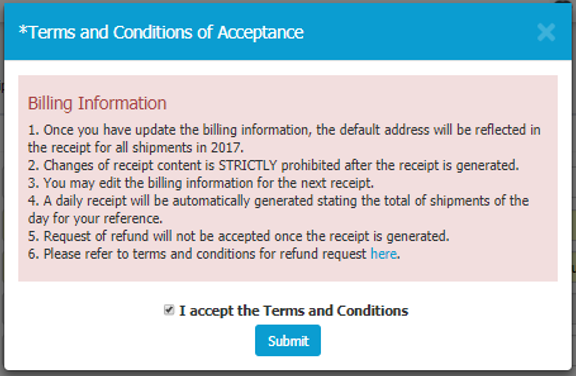 Yes, your order can be edited if payment has not been confirmed. If payment has been made, charges will apply for any change of information. Please contact Shippop immediately to make these changes. 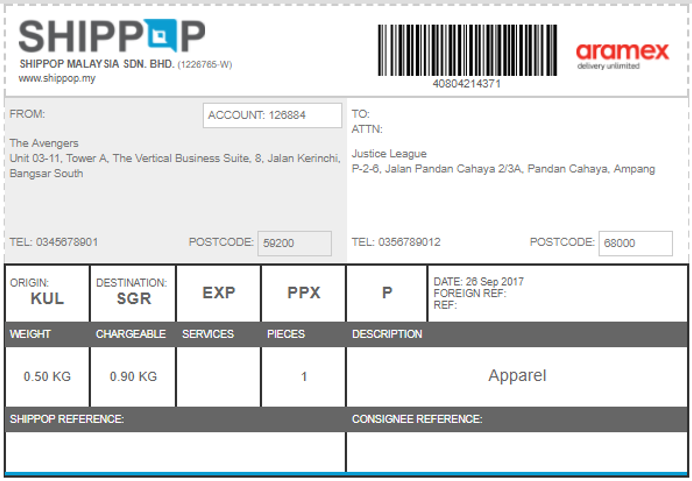 How many Air Waybill(AWB)/Consignment Note(s) do I have to print? 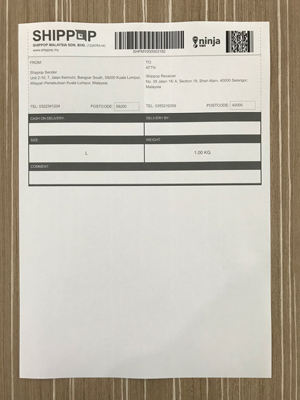 Once you click on “Print Label”, the system will do the rest and it will print out the exact number of pages needed for your shipment. Please note that the number of Air Waybills/Consignment Notes will vary from each courier services. Just follow the instructions given when printing out the AWB. There will be a guide provided. 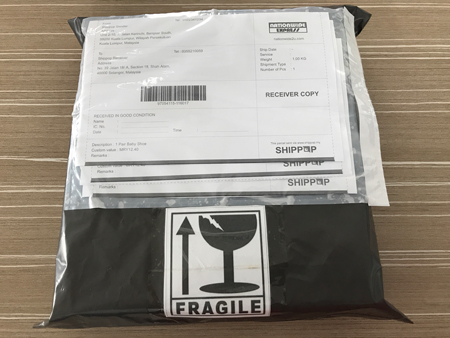 Where can I find my Air Waybill(AWB)/Consignment Note(s) after placing my order/booking? 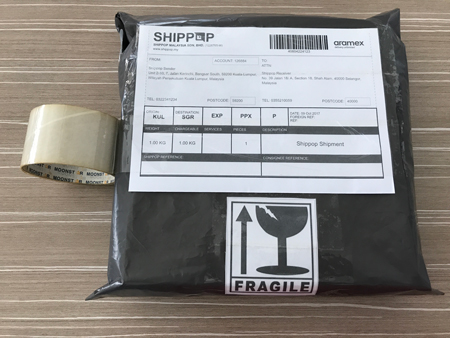 What happens if my parcel is heavier than the declared weight? When this happens, your parcel delivery will be put on hold. We will then notify you of the discrepancy in weight and request for the rate adjustments. Once this is resolved, the parcel will be shipped. 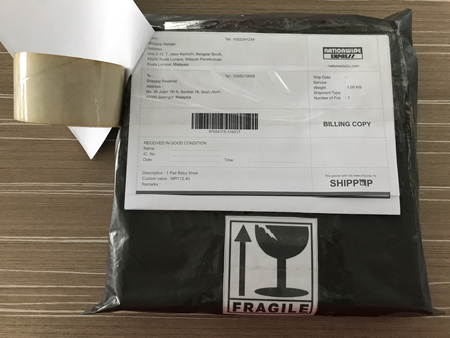 My parcel is damaged/lost, how do I file a claim? 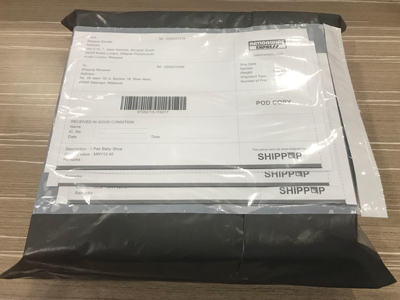 You may contact us at cs@shippop.my , our support team will assist in facilitating the claim process with the courier service accordingly. 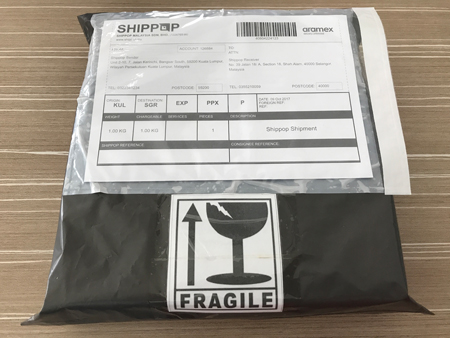 What is the maximum claim or coverage in the case of lost and damage of my shipment? MYR 200.00 per domestic shipment or the cost of replacement, whichever is lower. Coverage value may differ from each courier provider. 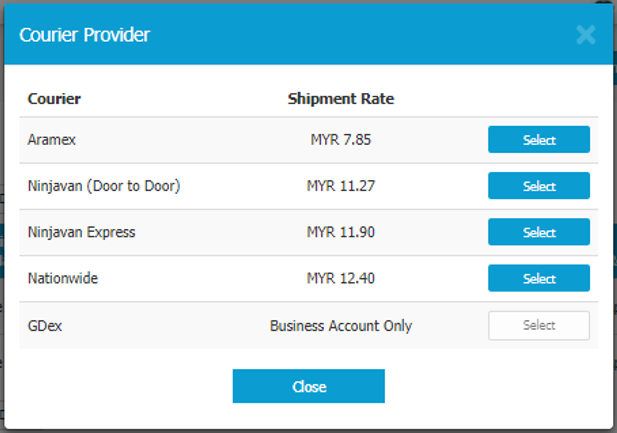 Click on specific courier provider for more details. 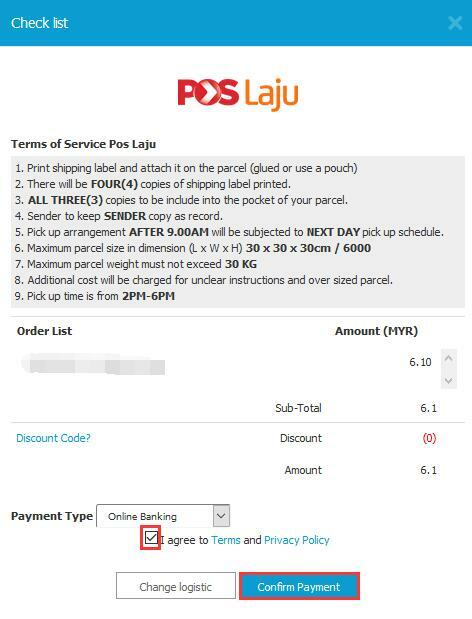 How do I purchase full coverage insurance for my parcel? Please contact us for further information regarding parcel insurance. Thank you. 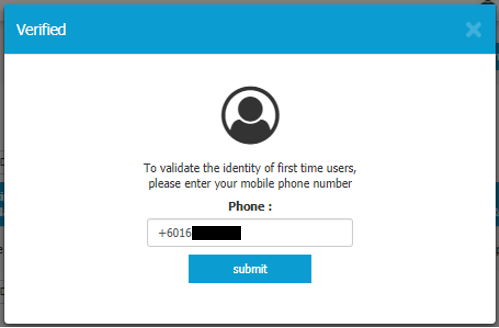 A Business Account registration requires SSM document submission. What is the difference between a Personal Account and Business Account? 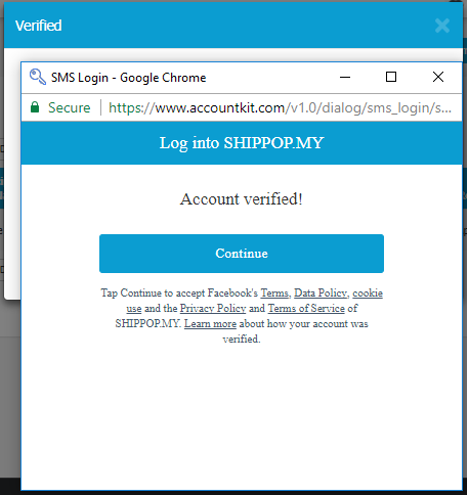 A Personal Account will have limited access to Shippop services. 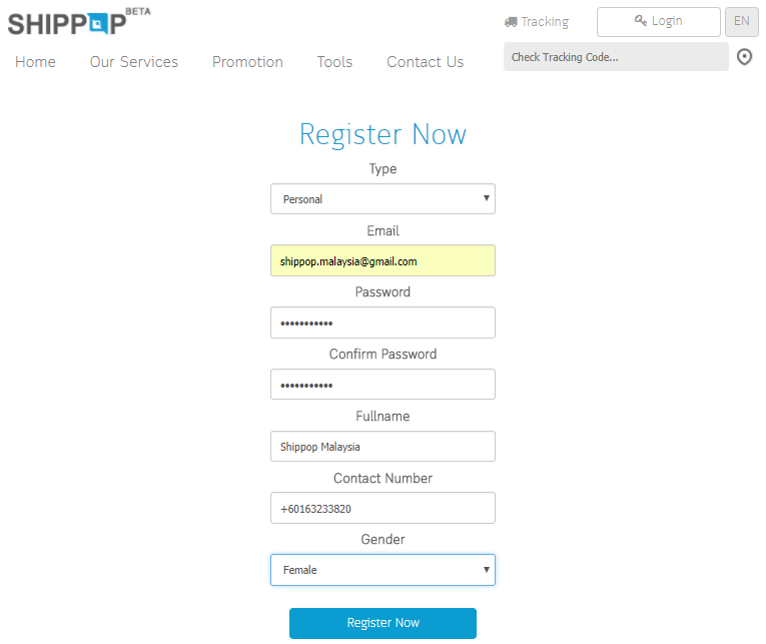 Registering a Business Account will unlock extra options as well as they will be the first to receive special rates and offers from Shippop. Can I print my invoices/receipts? It is easy to track your parcel, just click here. 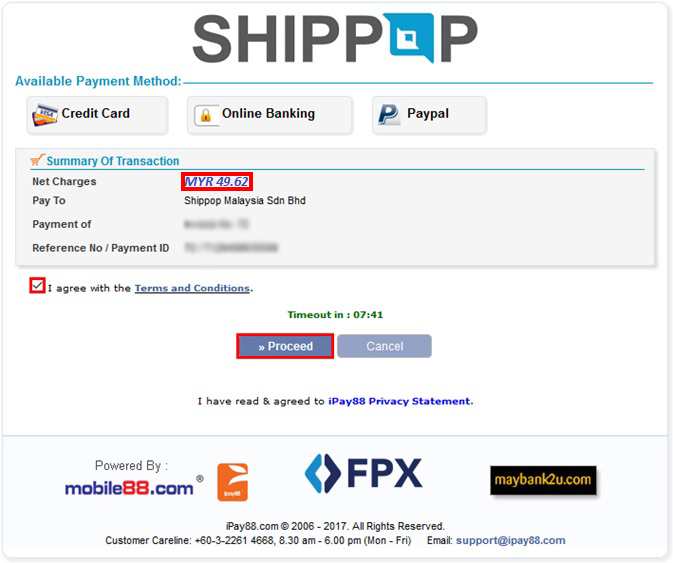 Kindly contact us via email at cs@shippop.my and let us assist you in updating your account. 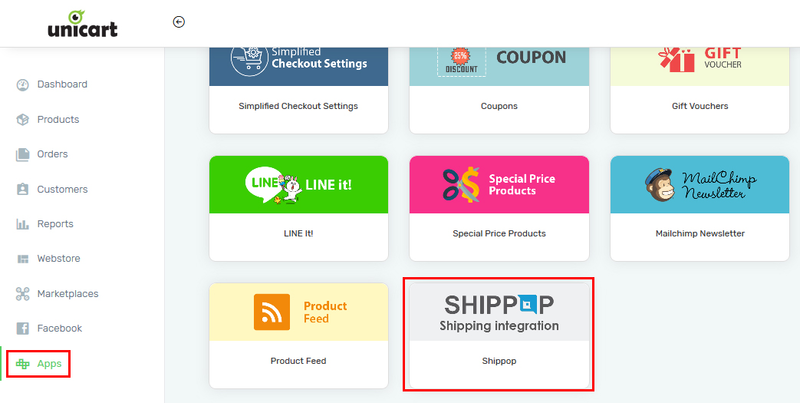 Step 1: You will need to Contact SiteGiant Support to inform them you want to use Shippop as your fulfillment partner, and get your store’s Unique API Key from SiteGiant. 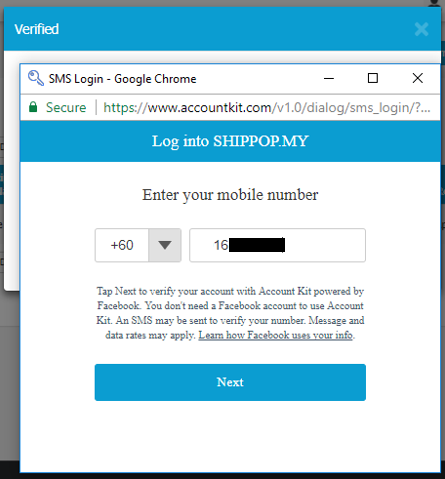 Step 4: Log in to Shippop account. 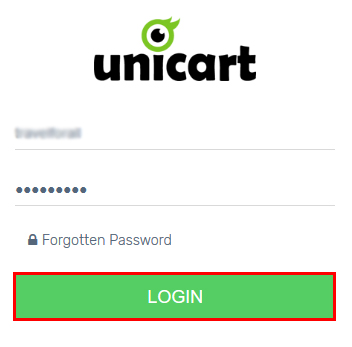 Step 10: Kindly ensure you contacted SiteGiant to get your store’s Unique API Key, then fill in your store’s Unique API Key in the API Key highlighted field. 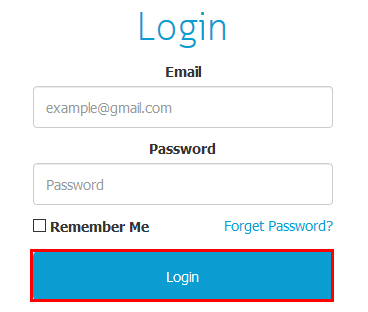 *Please note if this API Key data is different with your store’s Unique API Key, your order won’t be able to sync within these two systems. Step 20: Here’s a sample of the shipment label. *Please note the shipment label may differ between each courier provider. - Remark : "Description of Item"
7. Terms of Service will be displayed. Kindly select your preferred "Payment Type" and Agree to T&C, then click "Confirm Payment"
1. 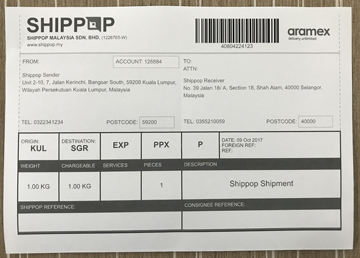 Kindly print ONE (1) copy of Aramex Shipping Label (Air Waybill) in a A4 paper. 2. 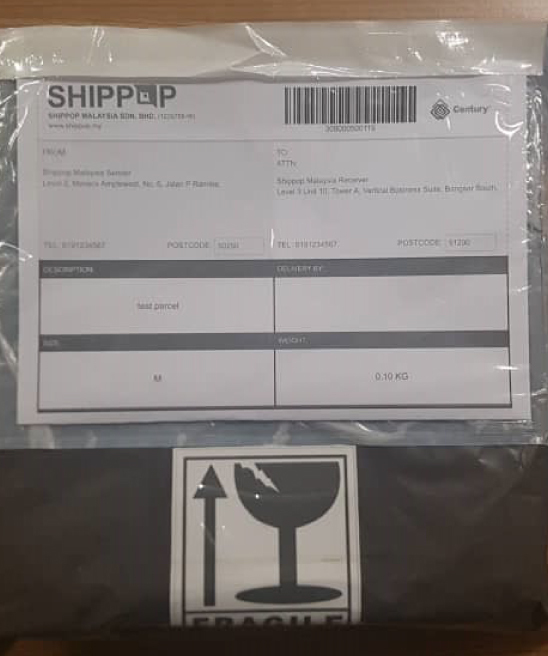 Fold the Aramex Shipping Label into half. 3. Kindly get your parcel ready and place the Aramex Shipping Label inside the transparent pocket of your packaging. 4. 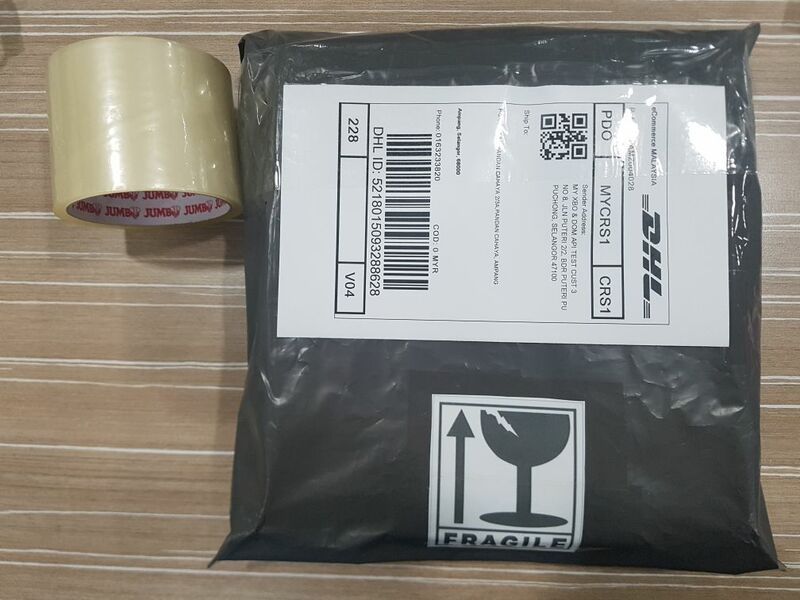 If your product is FRAGILE, please stick a Fragile sticker on your parcel, as sample below. 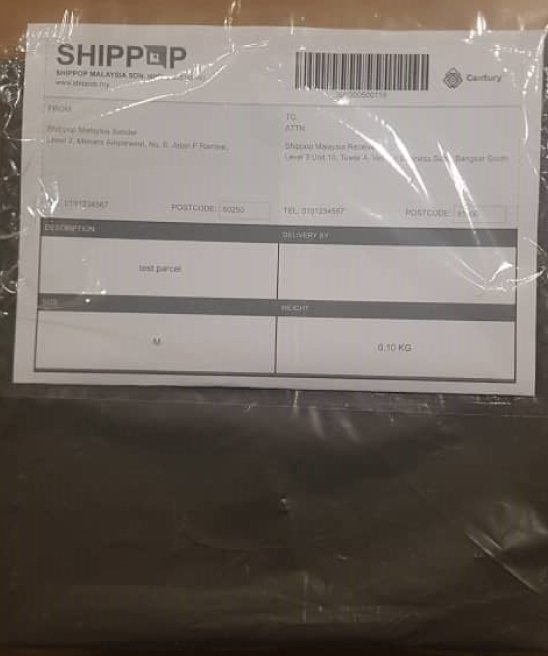 a. Kindly make sure you “TAPE” the Shipping Label on your parcel. Please “TAPE” the Shipping Label to ensure it won’t fall off during the delivery. a. Maximum compensation is RM200 based on actual value of item, whichever is lower. 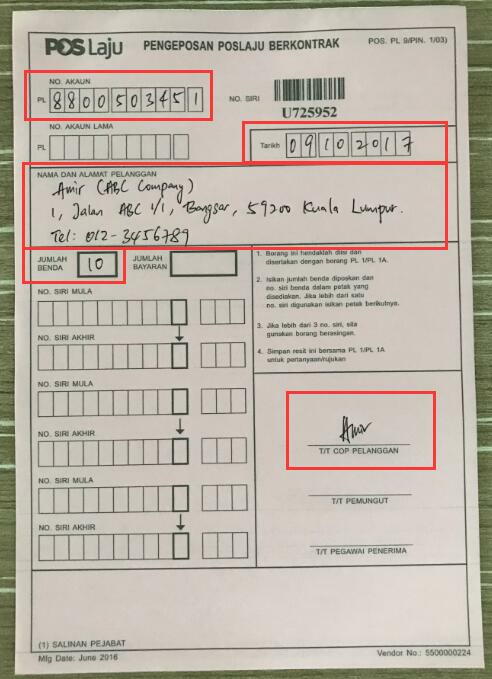 c. For all claims (if any), PosLaju must be notified within one (1) working day from the date of receipt of documents/goods. d. Any complaints pertaining to the compensation made after 30 days from date of posting will not be entertained. e. For additional insurance coverage kindly contact cs@shippop.my or live chat us to proceed. 1. 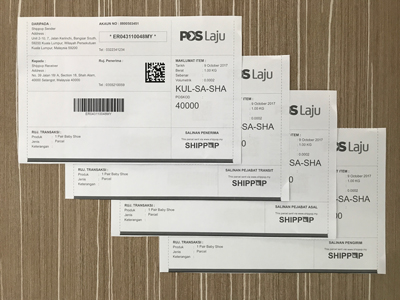 Kindly print FOUR (4) copies of POS Laju Shipping Label (Air Waybill) in a A4 paper. 2. 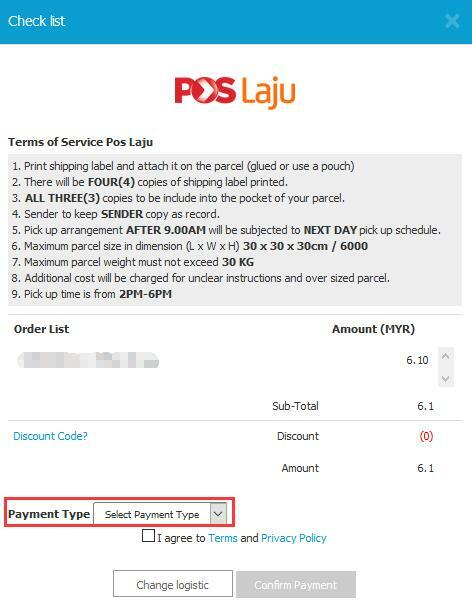 Kindly cut the POS Laju Shipping Label (FOUR copies) by following the dotted line. 3. 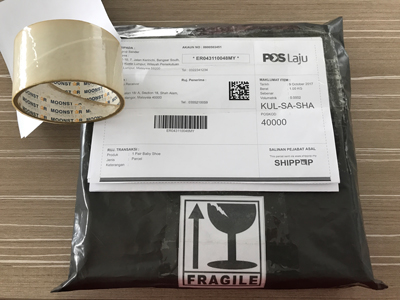 Kindly get your parcel ready and place the POS Laju Shipping Label (THREE copies: Salinan Penerima, Salinan Pejabat Transit and Salinan Pejabat Asal) inside the transparent pocket of your packaging. 5. Kindly keep the Salinan Pengirim (Sender Copy) as your reference copy. fall off during the delivery. dropping off all parcel(s). 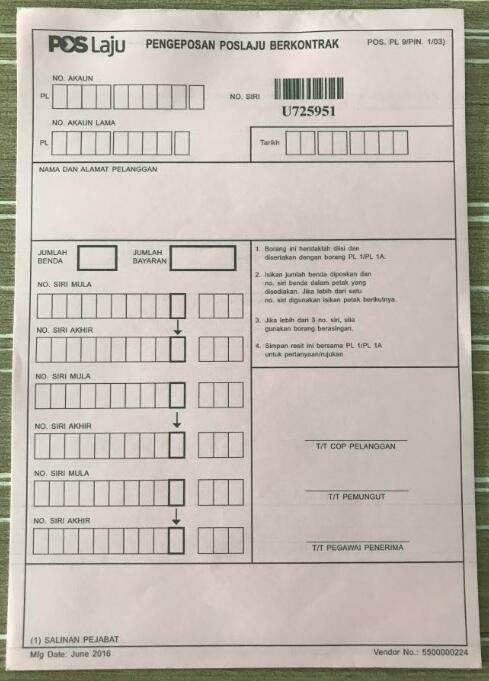 This PL9 form acts as a proof and reference of your shipment(s). a. 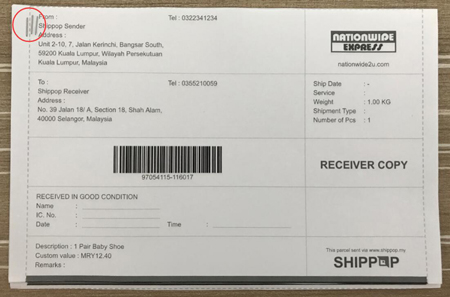 For items weighing less than 2kg maximum compensation is RM100 based on actual value of item, whichever is lower. b. 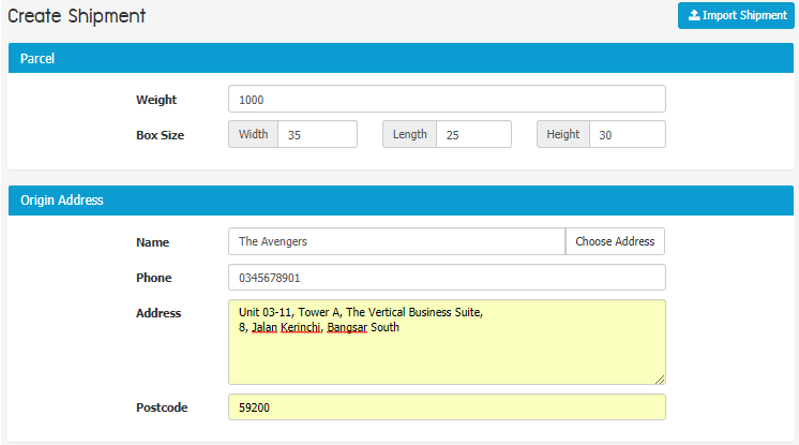 For items weighing more than 2kg maximum compensation is RM300 based on actual value of item, whichever is lower. 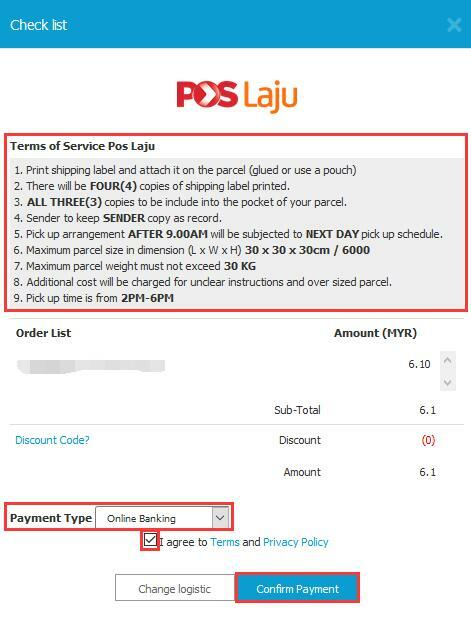 d. For all claims (if any), PosLaju must be notified within one (1) working day from the date of receipt of documents/goods. e. Any complaints pertaining to the compensation made after 30 days from date ofposting will not be entertained. f. For additional insurance coverage kindly contact cs@shippop.my or live chat us to proceed. 1. 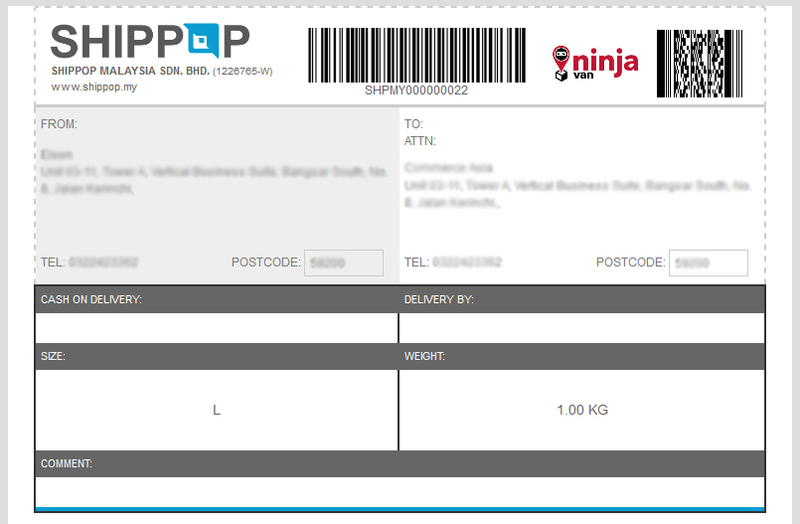 Kindly print ONE (1) copy of NinjaVan Shipping Label (Air Waybill) in a A4 paper. 2. 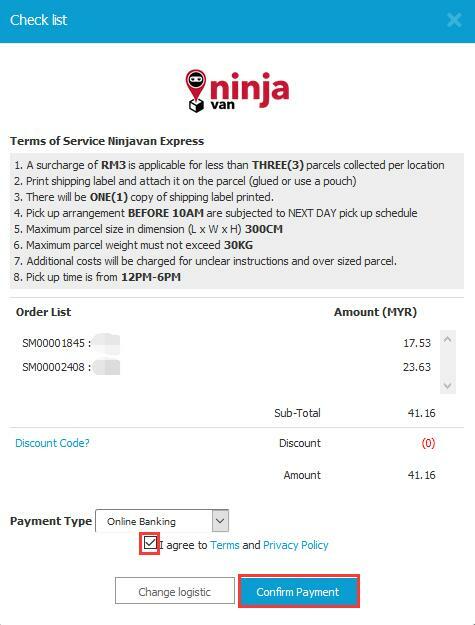 Fold the NinjaVan Shipping Label into half. 3. 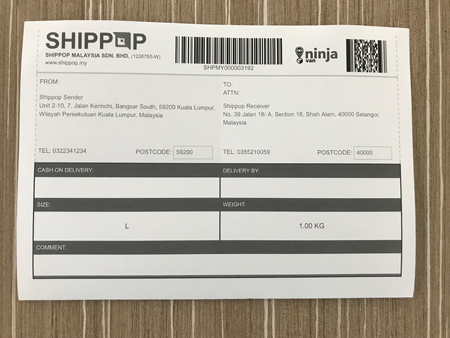 Kindly get your parcel ready and place the NinjaVan Shipping Label inside the transparent pocket of your packaging. 1. 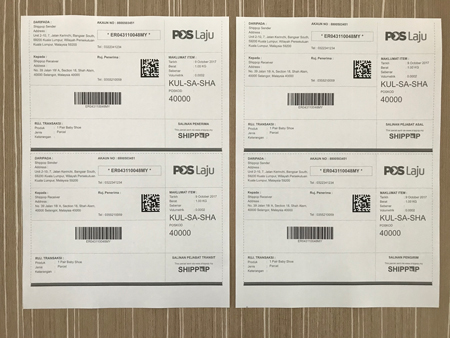 Kindly print FOUR (4) copies of Nationwide Shipping Label (Air Waybill) in a A4 paper. 2. Kindly cut the Nationwide Shipping Label (FOUR copies) by following the dotted line. 3. 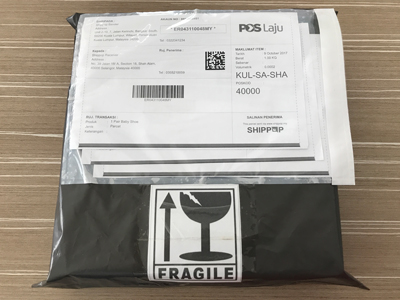 Kindly get your parcel ready and place the Nationwide Shipping Label (THREE copies: POD Copy, Receiver Copy and Billing Copy) inside the transparent pocket of your packaging. 5. Kindly keep the Sender Copy as your reference copy. a. 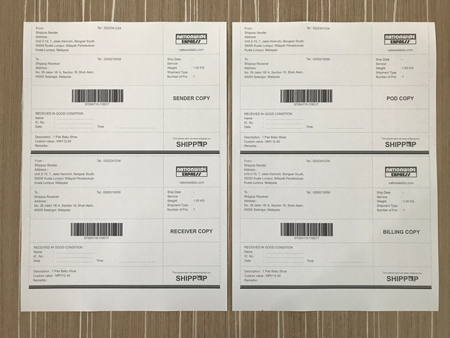 Please “Staple” the remaining (THREE copies: POD Copy, Receiver Copy and Billing Copy) together. 1. 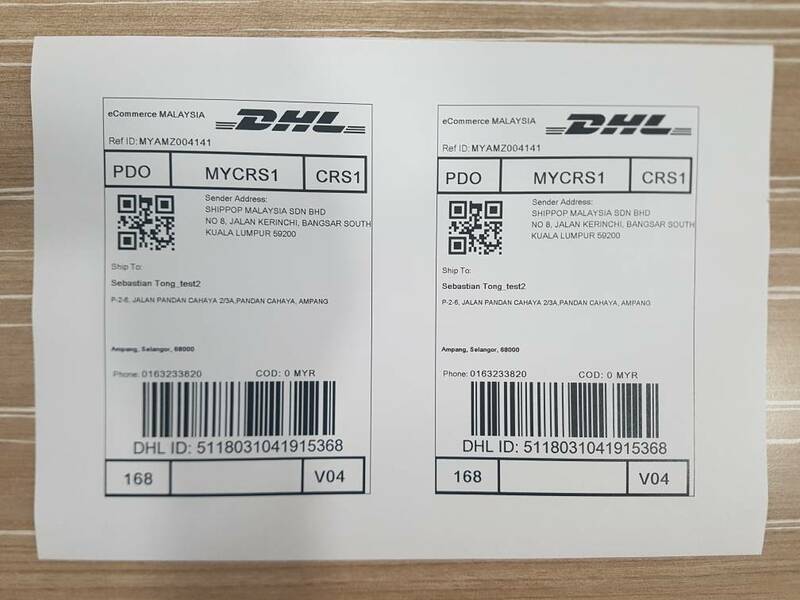 Kindly print TWO (2) copies of DHL eCommerce Shipping Label (Air Waybill) in a A4 paper. a. Sender Copies, keep one copy for own reference. 2. 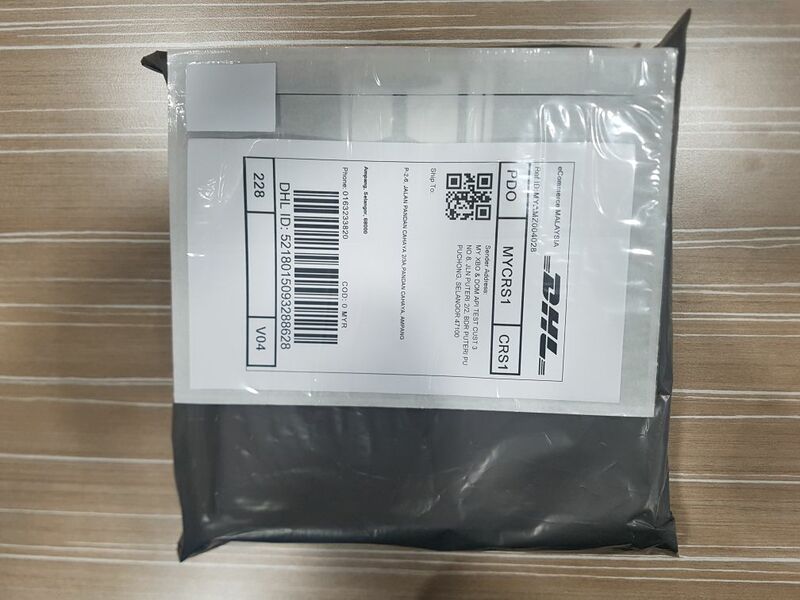 Kindly get your parcel ready and place the DHL eCommerce Shipping Label inside the transparent pocket of your packaging. 3. If your product is FRAGILE, please stick a Fragile sticker on your parcel, as sample below. 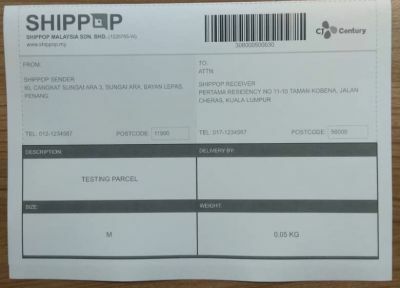 a. Kindly ensure you “TAPE” the Shipping Label on your parcel to avoid lost of label during the transit or delivery. 1. 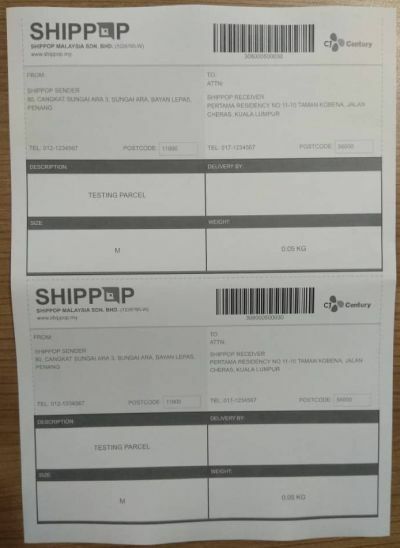 Kindly print TWO (2) copies of CJ Century Shipping Label (Air Waybill) in a A4 paper. b. 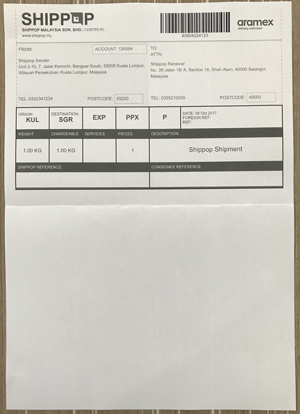 Fold the CJ Century Shipping Label into half. 2. 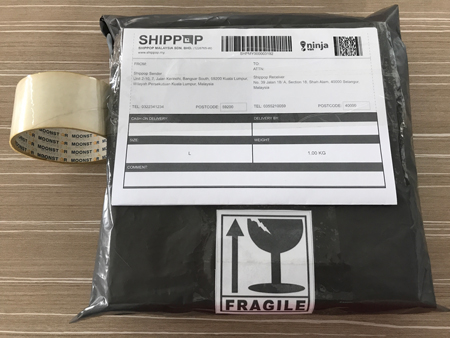 Kindly get your parcel ready and place the CJ Century Shipping Label inside the transparent pocket of your packaging. 6. Additional costs will be charged for unclear instructions and over sized parcel.